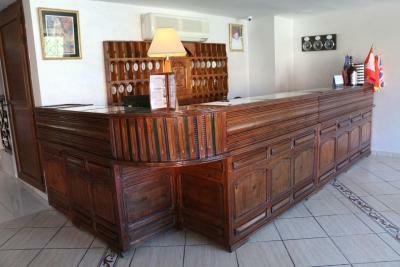 Lock in a great price for Hotel Saint Antoine – rated 8.3 by recent guests! Wonderful staff, very friendly and helpful. Great swimming pool and garden area. Lovely room. Super Hotel with nice food and good view. Also excellent professional service. 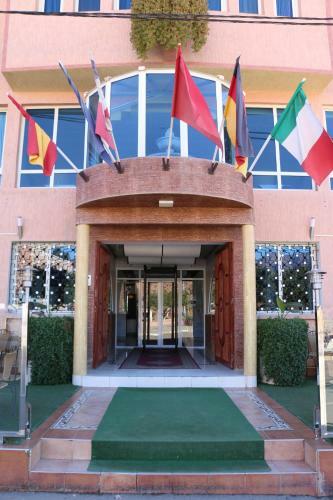 Have stayed before and like it.Small friendly hotel with convenient location near centre.Clean with nice rooms,comfy bed,good A/C and wifi.Rear rooms receive sunlight and have view over the Pool. Nicely maintained garden around the Pool where a nice place to relax in the sun,also tented area to relax in shade.Pool too cold to use in December. Breakfast pleasant on terrace.Bar in basement for Beer/Wine(not cheap). Very comfortable and the staff were extremely friendly and helpful. See above for Hotel likes. Good base for hiking in stunning terrain and villages.Untouristy.Not for mainstream tourists. The Pool area was an oasis of calm for relaxing,reading in the sun.Water too cold to swim in(December). I enjoyed my beautiful sunny room with large windows that overlooked the pool and garden. Simple but elegant and very clean. 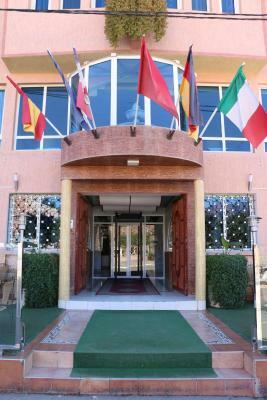 Staff spoke English and were extremely polite, attentive, and helpful. 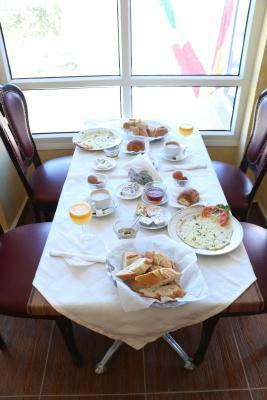 They served a delicious breakfast with great strong coffee. 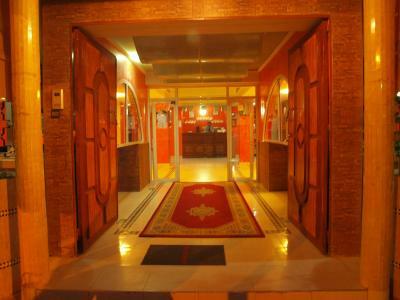 This hotel exceeded all my expectations and was very affordable! Sehr sauber. Freundliche Mitarbeiter. Sehr gute Lage. Recht gute Küche. Un hôtel bien situé qui à fait un très important effort de modernisation. L'ensemble est très propre et la climatisation réversible fonctionne parfaitement. Le personnel est aimable. .
Hôtel sans grand charme mais offrant un rapport qualité/prix très avantageux. Les chambres sont spacieuses et calmes. Bon accueil par le personnel, les chambres sont propres et confortables. 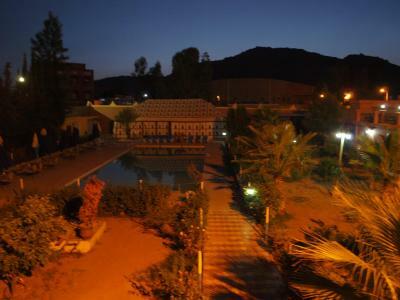 Hôtel à recommander pour un séjour à tafraout car proche du centre ville et piscine agréable ! Hotel Saint Antoine This rating is a reflection of how the property compares to the industry standard when it comes to price, facilities and services available. It's based on a self-evaluation by the property. Use this rating to help choose your stay! 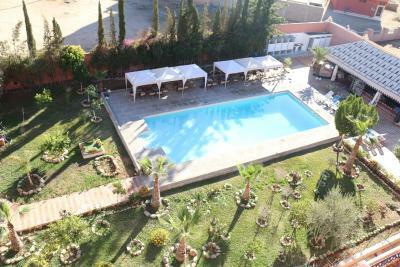 Hôtel Saint Antoine is located 1.2 mi from Tafraout city center and features an outdoor swimming pool with sun beds, a garden and a business center with free Wi-Fi. Guided tours are organized by the staff. 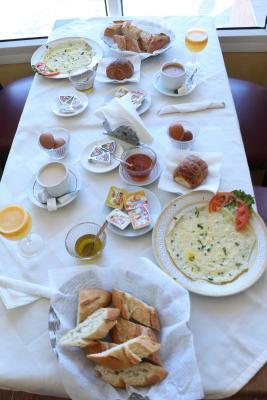 All of the air-conditioned rooms at Hôtel Saint Antoine offer a satellite TV, a telephone and a private bathroom with shower and free toiletries. A 24-hour room service is available. 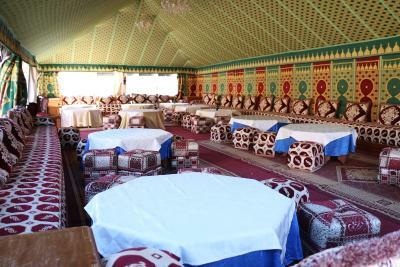 Both Moroccan and international food is served at the restaurant, which can receive up to 100 people. 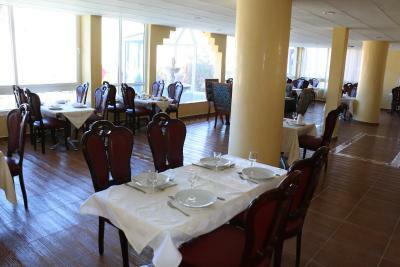 You can also take a drink at the bar and relax on the hotel’s terrace. The local market is not far from Hôtel Saint Antoine and transfers to a spa center are available upon request. Ait Mansour Gorges are 4.3 mi away and Agadir-Al Massira Airport is 2 hours away by car. When would you like to stay at Hotel Saint Antoine? With a view of the mountains or the pool, this air-conditioned room features a satellite TV, telephone and private bathroom with free toiletries and hairdryer. Public parking is available on site (reservation is not needed) and costs EUR 1.50 per day. House Rules Hotel Saint Antoine takes special requests – add in the next step! Please inform Hotel Saint Antoine of your expected arrival time in advance. You can use the Special Requests box when booking, or contact the property directly using the contact details in your confirmation. 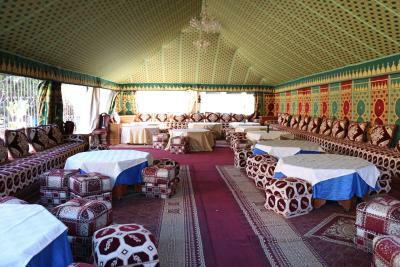 It was a too cool to eat on the terrace, and the dining room was rather quiet and lacking atmosphere. Have to pay Bill in Cash.No cards accepted. It was difficult to get hot water if you waited till mid-morning to shower. Room originally given was on the streetside whch receives little sun and was freezing cold which I dint like.Fortunately the Manager was more flexible and moved me to the sunnier side of the Hotel. Restaurant rarely open though food was available on request. Payment only in cash.